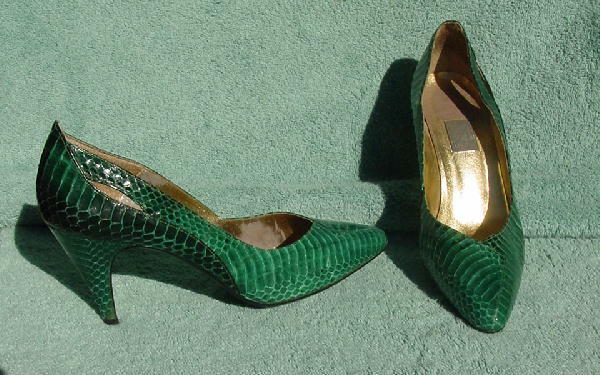 These vintage snakeskin pumps are by J Renee. They have very nice large scales and are in an emerald-dark teal green. The gold lame has worn off a bit on the linings and insoles. The outer back sides have an elongated-oval shape cutout. The vamp area has a crossover flap design. They have great color and very nice snakeskin. They're from a stylist's collection, and were worn in several runway shows.